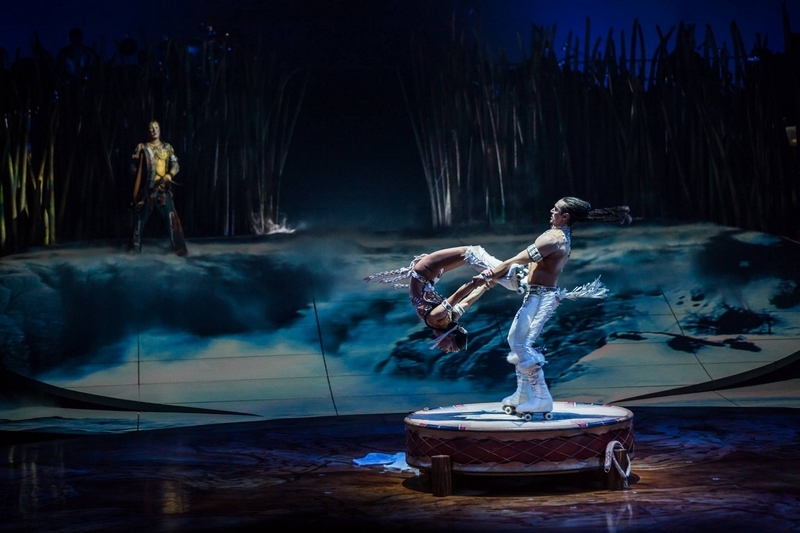 In a scene that evokes a wedding ceremony, a pair of roller skaters spin and whirl at heart-stopping speeds atop a tiny platform – just 1.8 meters in diameter – shaped like a drum. 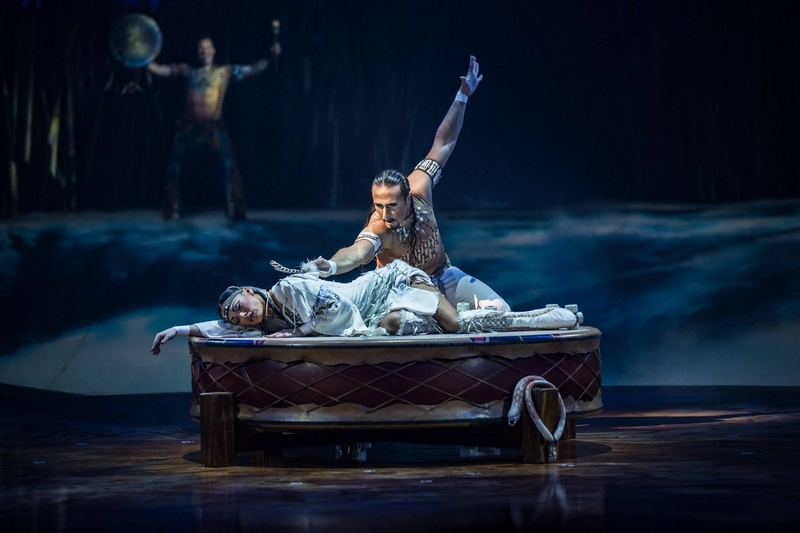 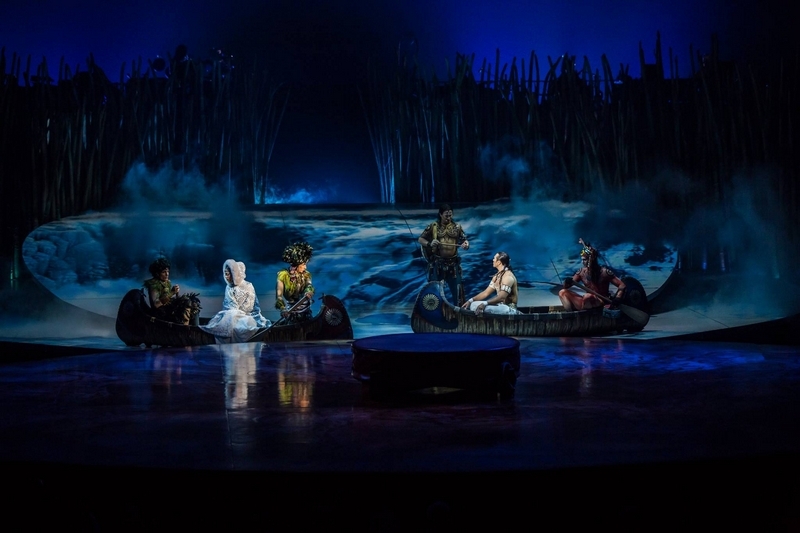 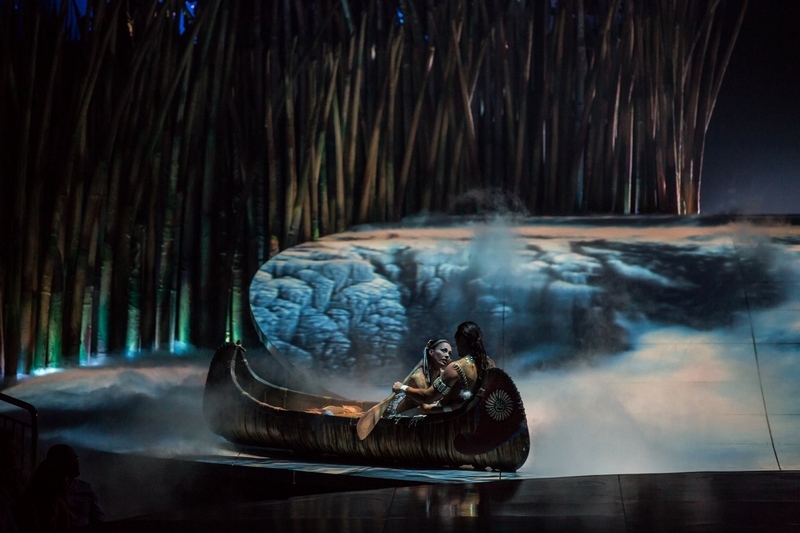 The dancer is replaced by the soft sailing of a Native American canoe, traversing the high waters of a mountain stream. 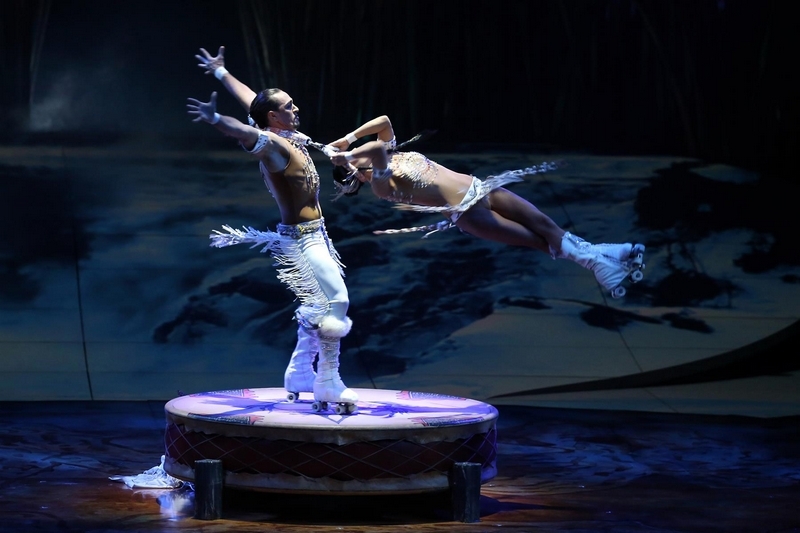 In a scene that evokes a wedding ceremony amongst the snow-filled mountains of winter, a pair of roller skaters spins and whirl at heart-stopping speeds atop a tiny platform - just 1.8 meters in diameter - shaped like a ceremonial drum.